Nothing is better at convincing you there isn’t a foot of snow outside than one tropical cocktail….or five. 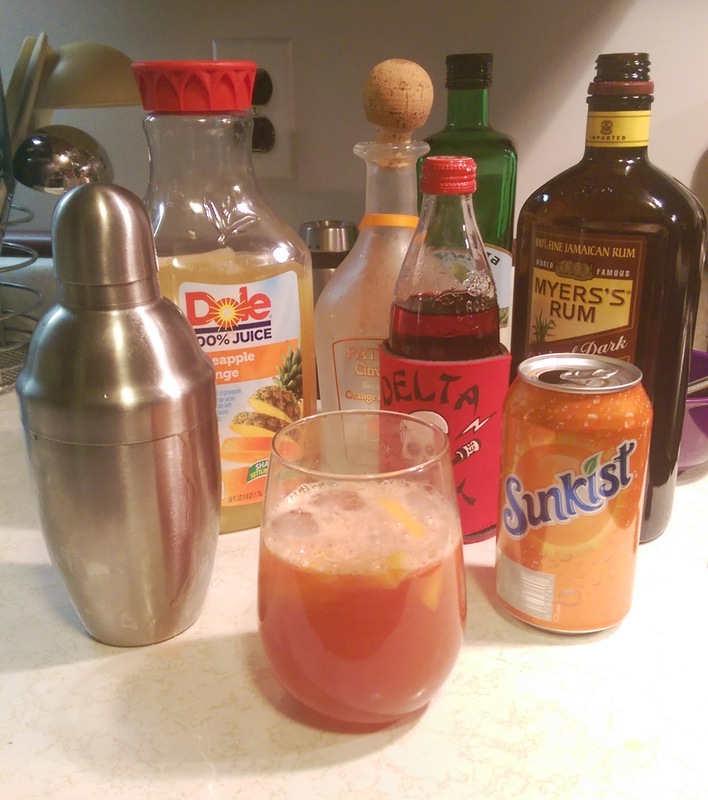 This is a Verigan Special–something that we concocted a few years ago when we had too much Sunkist lying around the house. NOTE: I’ve written everything out in ounces, but you can make all of this using a 1 oz. shot glass to measure. Mix all ingredients together in a cocktail shaker for 1-2 minutes, until ice is mostly broken up. Pour into glass, with extra fruit slices and ice for garnish.